The STAR Series - These were designed to allow each of the STANDARD models to be more free blowing without the necessity of reaming to a larger bore size. This is important because the quality of sound remains the same without the risk of losing focus sometimes caused by playing of too large bore size. Since these models were made available, the medium large sizes (7* to 10*) have been very well received in the orchestral trumpet community. The "B" Series - They are exactly like the STANDARD and STAR series internally. The only difference is in the external dimension which is slightly larger and causes a subsequent increase in the GAP. 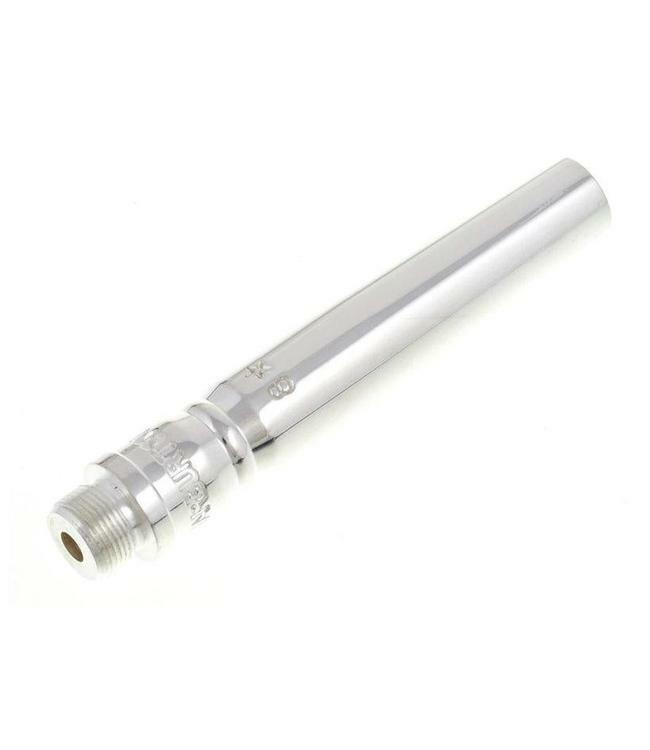 This added diameter can re-establish a functional gap distance in trumpets with worn receivers and where the mouthpiece receiver has been soldered to the lead pipe improperly. While we recommend the use of our STANDARD series for most situations, if there is a noticeable problem with "LOCKING-IN" of the upper partials, the "B" backbore will very often rectify the problem.